Back to more usual crossover. 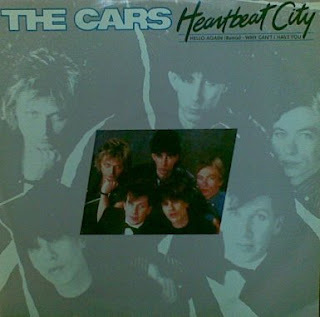 This time I made some changes on fantastic 1984 track ''Heartbeat city'' from The Cars. LP with same name we can easily call best of The Cars with hits like ''Drive'', ''Hello again'', ''Why can't I have you''...I still can't decide which one is the best. Well...it doesn't matter anyway. For this crossover I used album version only and re-aranged finnishes at 8:50. Great mix of my favorite Cars track. Especially good since they never did a proper extended version of this great track. Would love to hear your take on Drive as well. AWESOME!!! I could have listened another 4 mins. easily!! If you feel like doing more Cars how about "Why Can't I Have You" or "Strap Me In"
It's all been said before = Awesome! Spot on Anonymous, they never released this song on Maxi single, this is a testament to your talent Dodi. Brilliant job and a heartfelt thanks - I've been searching for someone to extend this for months now. Thank you all for your kindness...without you all this job would be worthless. could you redo link for this please.Appears to have gone.Great work.Thanks.